Lufthansa is currently offering a coupon for up to 40 euro discount on your next return flight departing from a selection of European Countries. 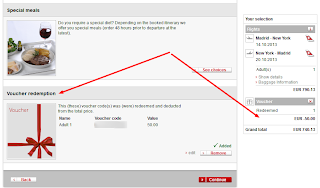 They have an ongoing 30$ voucher code for all hotel reservations of minimum 300$. 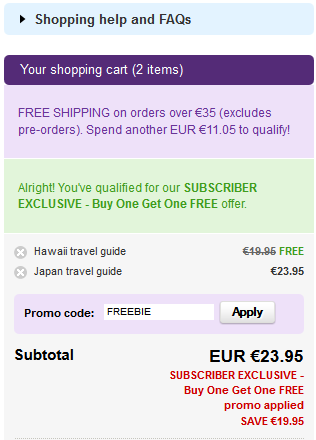 The Zuji voucher code is valid for purchases of minimum 350 Australian Dollars, for travel throughout 2013. Zuji shows Western Australia as including cities and areas such as: Perth, Scarborough, Fremantle, Mandurah, Margaret River Region, Albany, Denmark, Kalgoorlie, Esperance, Coral Coast, Broome, Kimberley. BlueBay is a chain of all-inclusive resorts in the Caribbean (Mexico, Dominican Republic) and Spain (islands and mainland) and Portugal. Early booking offer from Mandalay Bay Hotel and Casino Las Vegas, for stays between November 11, 2013 and March 2, 2014. For example, a deluxe king room for 3 nights starting on December 21, 2013 has a total price of 336$, including the free daily buffets. 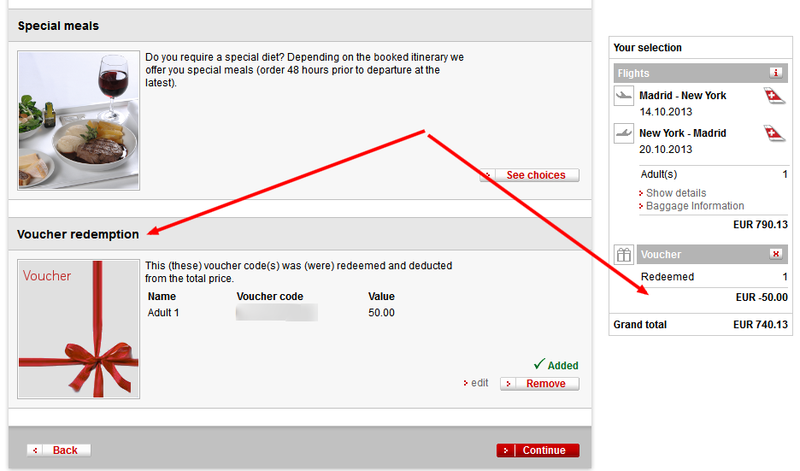 This is the same price as booking.com (which does not offer the free daily buffets). 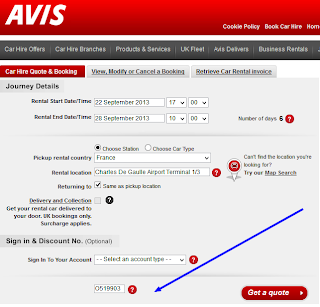 10% discount on car rentals worldwide. The Las Vegas MealTicket is a combo offer which entitles you to breakfast + lunch + dinner each day in any of the following restaurants: Planet Hollywood, Hofbräuhaus Las Vegas, Pampas Brazilian Grille, Jackson's Bar and Grill, San Gennaro Grill, and Fresh Grill and Bar. 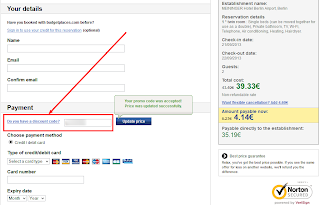 The 5-day ticket has a total price of 143$ (that´s 29$ per day), discounted from the regular price of 220$. - free access to the fitness area and sauna. 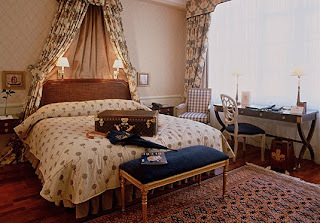 Valid for stays Fridays, Saturdays and Sunday throughout 2013 and continuing in 2014 until 31 March 2014 (including the Valentine's Day week-end). For example: 2 nights over the week-end 11-13 October 2013 have a total price of 174£ from Secret Escapes, for a classic double room, breakfast included. The same room costs 403£ from booking.com. 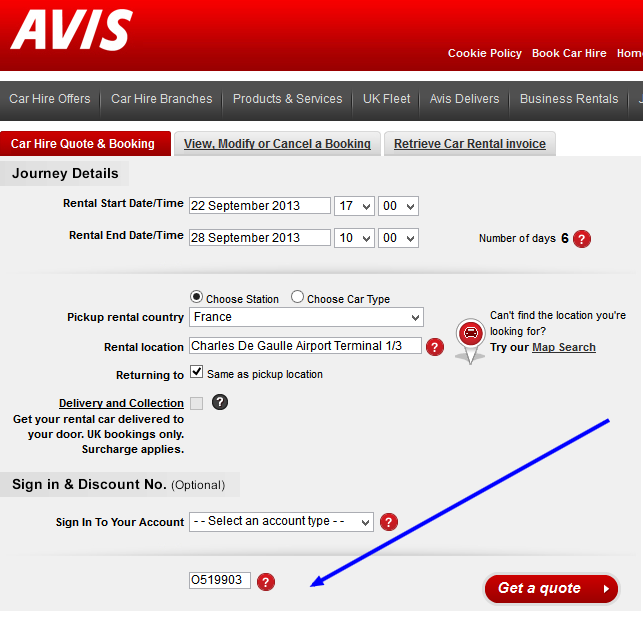 For bookings until the end of September 2013 (stays anytime during 2013) you get 4% discount using the OnHotels promo code. 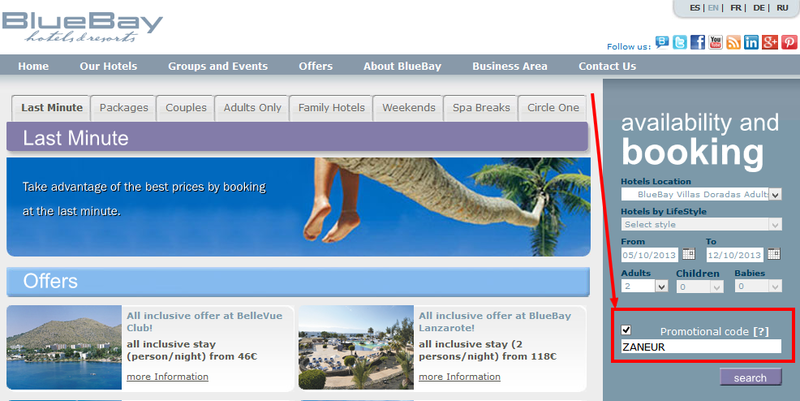 Promotion valid for bookings until 30 September 2013 (stays until the end of 2013). For example, a deluxe 2 double bed room for 4 nights starting on 22 September 2013 at Caesars Atlantic City has a total price of 424$. 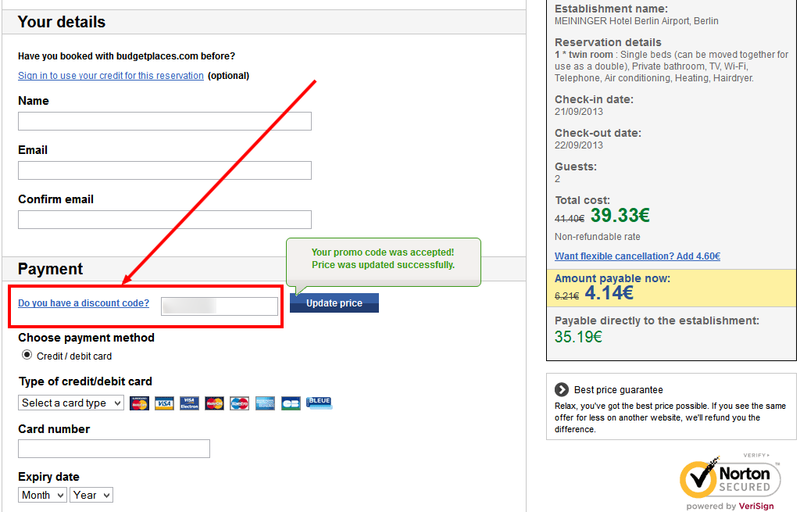 That is a 30% discount from the 664$ charged by booking.com.